It was about time to go on a holiday – even if it was just a little one as there were only 4 days left for me until I started my new job in London. 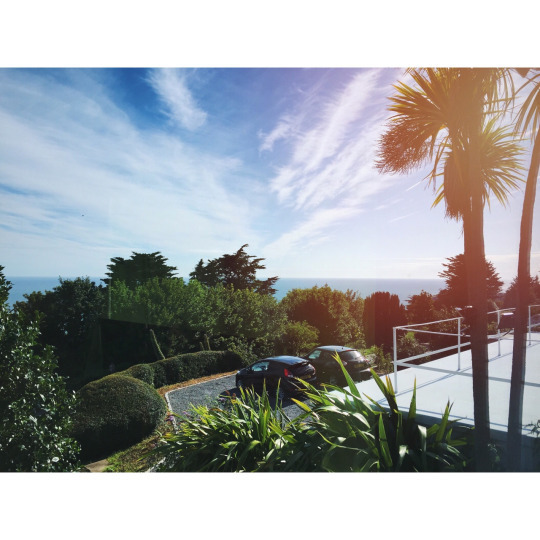 So Nick and me decided to take a trip to the Isle of Wight and we booked an Airbnb in the south coast town of Ventnor. Our host Debbie was one of the most loveliest people and she even ensured for me to have non dairy milk available for breakfast. Our room was just amazing – spacious and with lovely decoration, apart from the dead animal carpet (that appeared to be real) I was very happy with our location choice. Even though the weeks leading up to our holiday were more grey than golden – the Isle of Wight showed its best sides as soon as we turned up. On our first evening Nick and me visited the restaurant Cantina. They normally do not have a vegan menu, but they have these amazing cocktails (check my gallery below!) and their staff was very lovely and made me a vegan meal. The Cantina also bakes their own artisan breads – and they even sell them on markets in London! In the evening we were a little unlucky with finding food – all restaurants were already fully booked as they are not as big as the ones up in London, so after a desperate walk around for 1.5 hours I had to settle for chips – not such a perfect ending to an otherwise brilliant day. However the temperature outside were lovely in the evening, with a little breeze to cool down after a hot day. On our 3rd day Nick and me decided to slowly travel back through the island to get our ferry back in the eve. We stopped by at one of the best known and traditional pubs for a pint and were able to view the international sailing event in the harbour before boarding our ferry (all in lovely sunny weather as you can see on my images). As it was raining in London as soon as we came back, I would have loved to return to Ventnor straight away! Previous Post Got to be German – Time for: Reibekuchen! Next Post How to Sunday: Amazing vegan roasts!